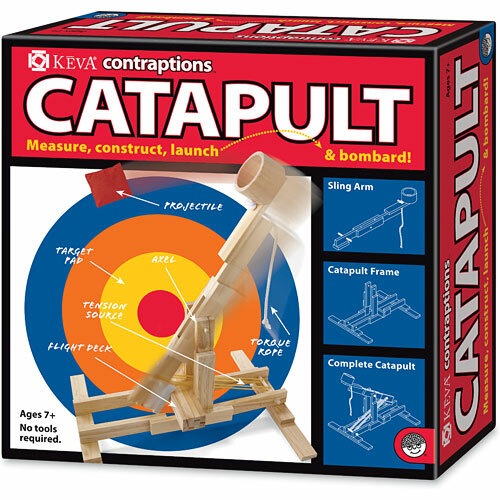 Boost their learning trajectory with an authentic catapult! Kids can build their own with planks, a little glue and the help of easy, step-by-step instructions. Then let the fun begin! What shoots farther, a marshmallow or a piece of macaroni? How does the objects course change when you pull the arm back to different points? What happens if you make the flight deck higher? 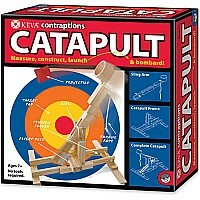 Everything you need to build the catapult is in the box -- no tools required. Measures approximately: 8.25 x 2.75 x 8.10 inches..